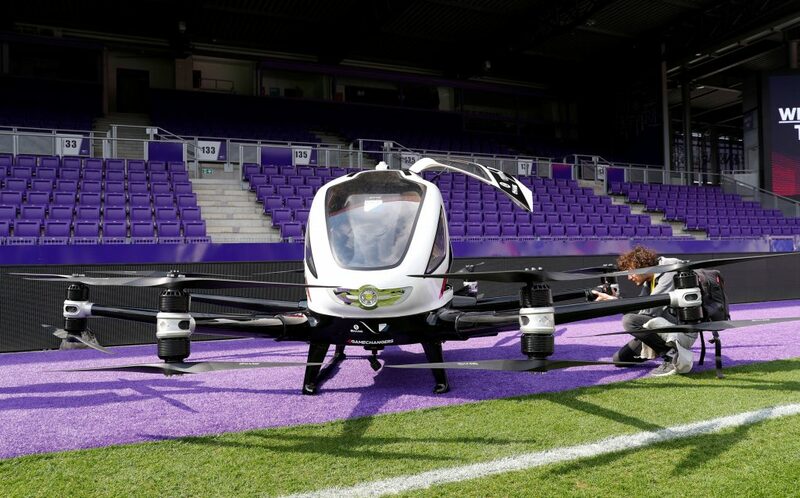 The drone’s 16 propellers hummed loudly as it rose above the pitch at Vienna’s Generali Arena. The slim plane, which weighs 750 pounds, circled in the air briefly and came down within a few minutes. Joining the race for new autonomous aircraft services that do not require runways, EHang entered a strategic partnership with Austria’s FACC, owned by Chinese aerospace group AVIC , last year, aiming to offer short-haul services for passengers, industrial equipment and urgent medical deliveries. FACC says it has already received several thousand orders for the $336,000 drone, with the highest demand in China. Competitors working toward offering autonomous flying cars early in the next decade range from aerospace giant Airbus to Uber and AeroMobil.